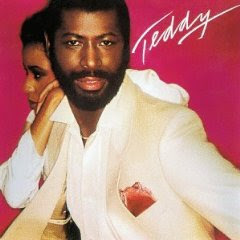 I awoke this morning to the news that yet another Soul legend had passed away, Teddy Pendergrass. Teddy's career began when he was a drummer for The Cadillacs, which later merged with Harold Melvin & the Blue Notes. Melvin asked Teddy to become the lead singer. Months later the group signed with Gamble & Huff on the then-CBS subsidiary Philadelphia International Records in 1972. The Blue Notes had hits such as "I Miss You," "Bad Luck," "Wake Up Everybody," the two million seller "If You Don't Know Me By Now" and many more. Following personality conflicts between Melvin and Pendergrass, Pendergrass launched a solo career and released hit singles like "The More I Get the More I Want," "Close the Door," "I Don't Love You Anymore," "Turn Off the Lights" and others. His first solo album was self titled Teddy Pendergrass (1977), followed by Life is a Song Worth Singing (1978), Live Coast to Coast and Teddy (1979), 1980's TP and the final Philadelphia International Records album It's Time for Love (1981). 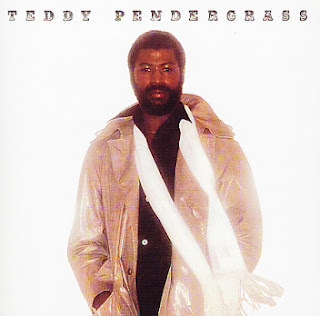 In 1982, in Philadelphia, Pendergrass was involved in an car accident. The brakes failed on his 1981 Rolls-Royce Silver Spirit, causing the car to hit a guard rail, cross into the opposite traffic lane, and hit two trees. Pendergrass suffered a spinal cord injury leaving him paralyzed from the waist down. That year PIR also released This One's for You, while Pendergrass was recovering from his accident. In 1983, the album Heaven Only Knows was released. This was his last album containing his pre-accident recordings. After completing physical therapy, he returned to the studio to record the album Love Language, featuring the 1984 ballad "Hold Me", a duet with a then-unknown Whitney Houston. He also returned to the public for a performance on July 13, 1985, at the historic Live Aid concert in Philadelphia, then continued to record throughout the 1980s and 1990s. In 1998, Pendergrass released his autobiography entitled, Truly Blessed. 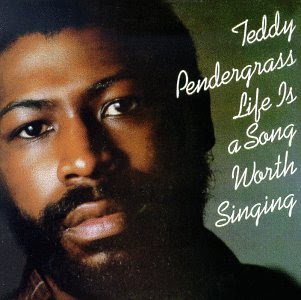 In 2009, Pendergrass underwent surgery for cancer and had difficulty recovering from that disease from which he eventually died on January 13, 2010, at age 59. Below is a collection of my favourite Teddy breaks both as a solo artist and with Harold Melvin and the Blue Notes.